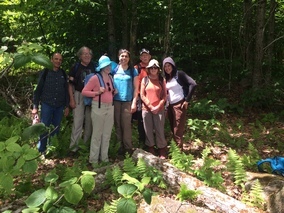 On Saturday, June 16, 2018, a breezy, sunny day, 8 of us hiked a little over 2 miles along a forest road near Martin’s Pond to Peacham Bog. From the bog, we hiked about 3.5 miles back to our cars, part of which is on a woods trail which paralleled acres of wetlands created by beaver activity. 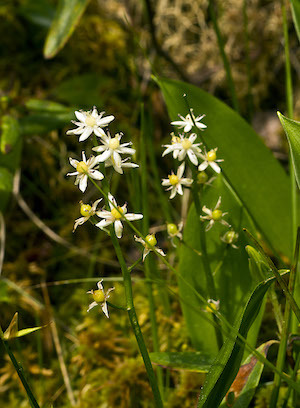 Along the way, we saw foamflower, speedwell, and other forest flowers. 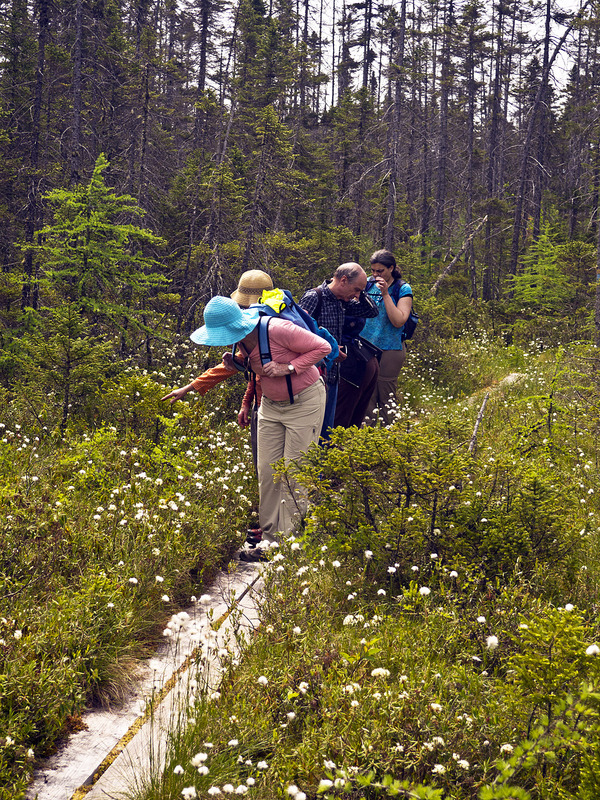 At the bog we saw pitcher plants, some of which were in bloom, bunchberry, Labrador tea, bog laurel, Canada mayflower, and cotton grass. We heard oven birds, white throated sparrows, roughed grouse, and more. One can hike out and back on the forest road, or hike the loop, as we did. Either route is easier than the hike from the Nature Center in Groton State Park to Peacham Bog; however, it is not marked. 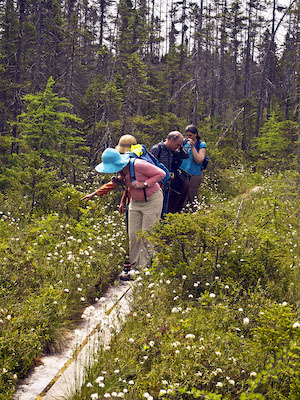 Still to be explored is the Nordic Trail from Martin’s Pond to Peacham Bog. Perhaps we will find it this winter! Charles Wohlers put 20 photos from this trip onto Flickr. Two of then are shown here.